In January 1890 Britain threatened to go to war with Portugal if its border demands in East Africa were not met. 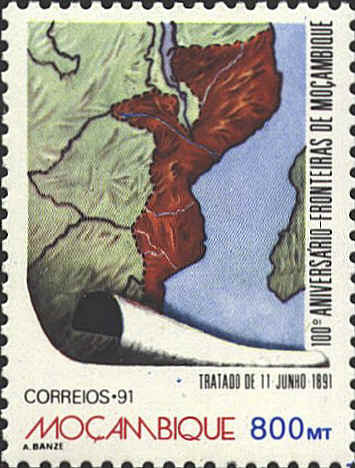 Portugal conceded to most of Britain's demands, and in May 1891 the frontiers of modern Mozambique were drawn. Much of the western highlands passed into British hands, but Portugal was left in control of the lengthy coast with its numerous ports and trade stations, as well as the lowlands between the coast and the highlands. 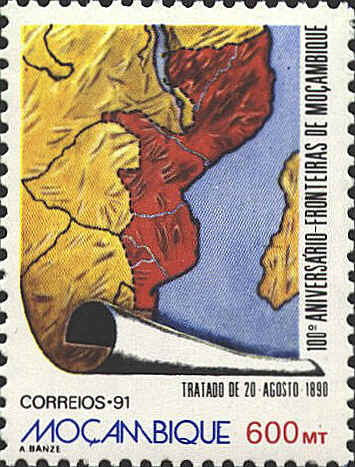 The maps show the change in the borders of Mozambique from 1890 to 1891. With some changes those borders continue today.